Our group also asked a question about the hijabs or headscarves that many Muslim women wear. The Imam pointed out that people cover their heads in many traditions including Mary, mother of Jesus, who is almost always pictured with her head covered. He said that for Muslim women as well it is a personal choice and a sign of humility in front of God. 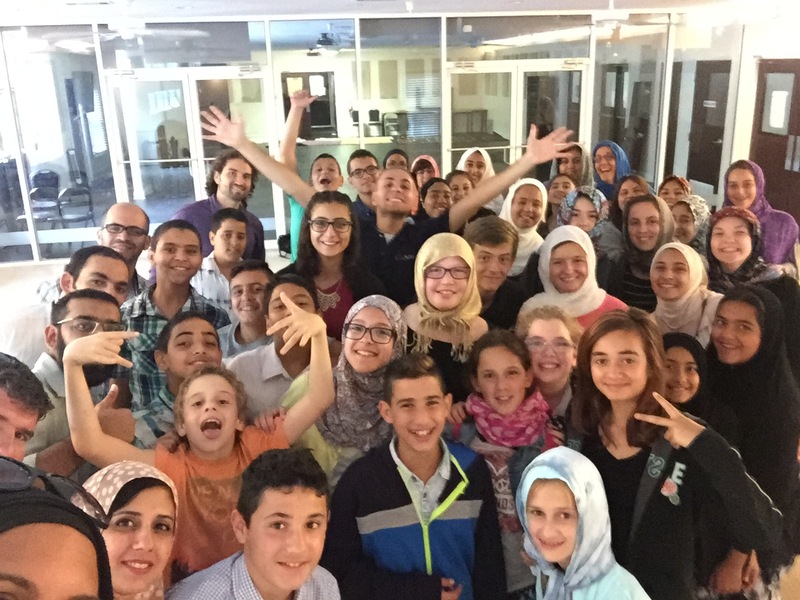 We ended our trip with a big selfie with our new friends who were so gracious and welcoming to us today at the Masjid. 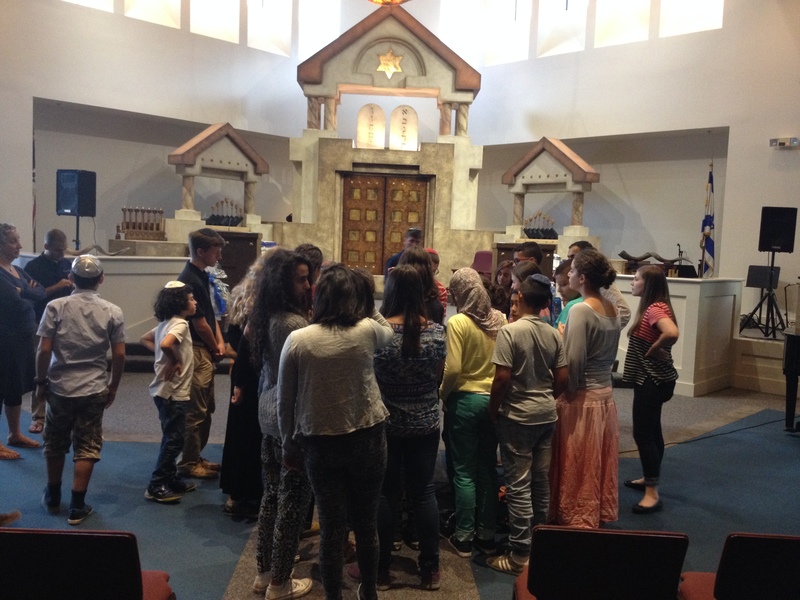 Our next stop was Temple Kol Emeth where we met another board member, Erin. We sat in the first couple of rows and he explained some of the things we saw in the new space. Around the synagogue were windows depicting “a life dedicated to Torah.” The windows included the Passover story and the story of Noah among others. At the back of the sanctuary were plates with names of those who had passed away so that their memory could live on within the synagogue. It was a great first day in Atlanta! We’re excited for tomorrow.